Pass your driving test in the comfort and style of our brand new BMW or VW tuition vehicles. Train to become a Driving Instructor, a vocation that offers years of extraordinary job satisfaction. Looking to book your driving lessons? Call us on 0330 555 2254 to learn to drive. Searching for ways to enhance your learning? 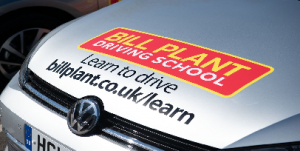 Bill Plant Driving School offers a range of learner driver services alongside your driving lessons to help get you on the road to success! Take a Complete Theory or Hazard Perception Test using the links below to further your understanding of what you need to pass your driving test today!